Homestyle taste with no sugar added. 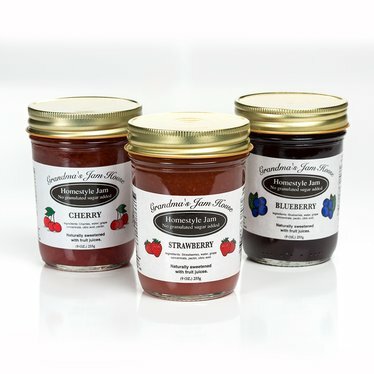 Taste for yourself what Lehman's staff members have been raving about ever since tasting these delicious jams. Blueberry Jam: Contains blueberries, water, grape concentrate, pectin and citric acid. Cherry Jam: Contains cherries, water, grape concentrate, pectin, citric acid. Strawberry Jam: Strawberries, water, grape concentrate, pectin, citric acid.